Union captain Alejandro Bedoya, the team's highest-paid player, admits that the number ten spot is not his favorite. As Tucker Carlson's Fox News show aired Thursday night, a post from his Twitter account asked why America would benefit from "having tons of people from failing countries come here?" 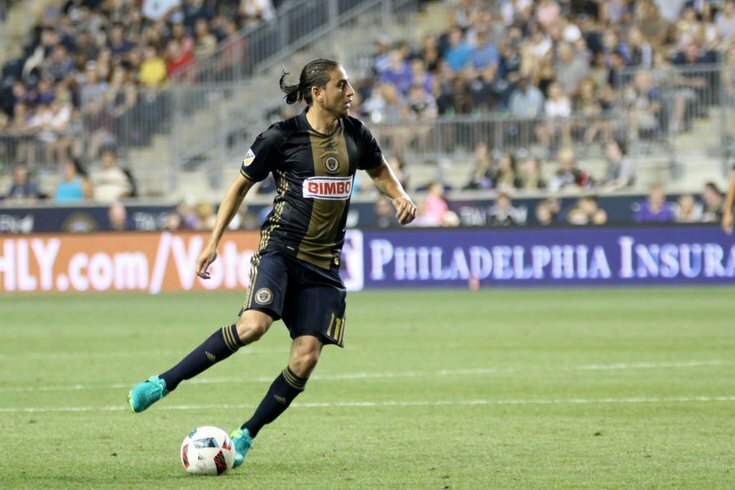 Enter Alejandro Bedoya, a midfielder for the Philadelphia Union who took a shot in response and buried it. "Because immigrants, like my parents, come/came here and have successful careers and pay taxes. Immigrants built this country!" Bedoya replied with a tweet on Friday. Bedoya, 30, was born to Colombian parents in Englewood, New Jersey. His soccer bloodlines run deep – both his father and grandfather played professionally in Colombia – and he has 61 caps on his resume for the United States Men's National Team, including three starts in the 2014 World Cup in Brazil. By the way, Bedoya wasn't the only irritated Twitter user to hit back at the "Tucker Carlson Tonight" host. Are you new here? What a ridiculously naive and un-American question. You just described most of our country. Where's your family originally from Tucker? What do we benefit from having you here? Study after study reveals the huge benefits immigrants bring to our country. In fairness, Tucker Carlson is not a benefit to any country. My grandmother came here with 3rd grade education & worked in sweat shop. Grandkids are: lawyer, chef, psychologist, businessperson. My father & his brothers, immigrants, served US in WWII. My grandfather, an immigrant served in WWI & II. Retired as a US Army Colonel. You?